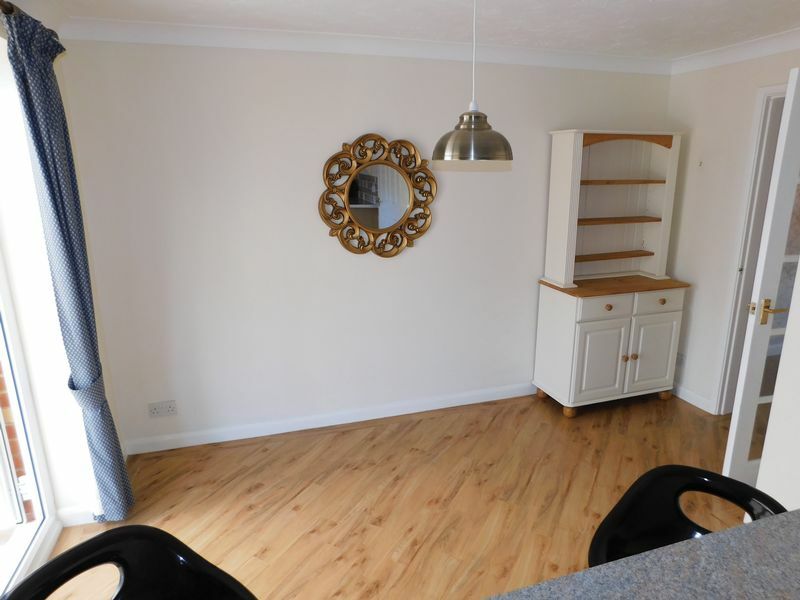 With door to garage, useful storage cupboard, tiled flooring and staircase to first floor. 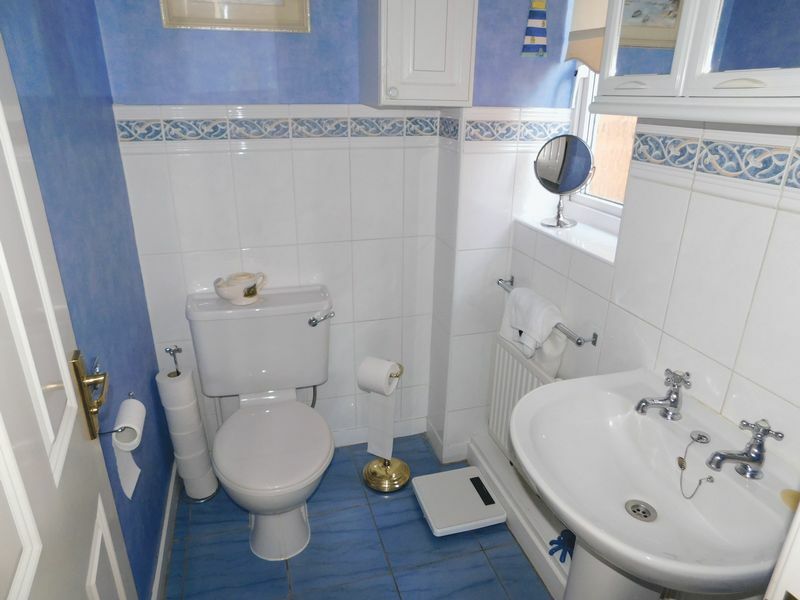 With tiled flooring, extractor fan, wash hand basin and low flush WC. 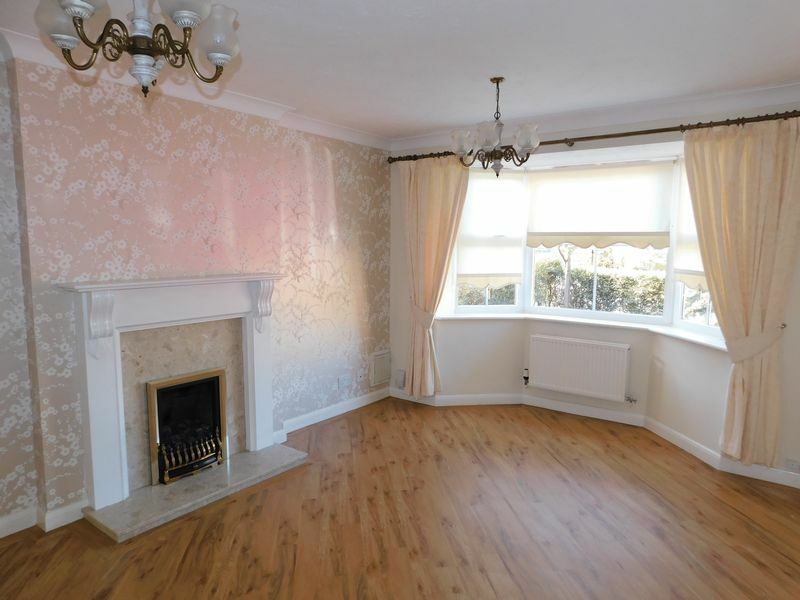 Good sized Lounge with ceiling cornice, bay window to front elevation, feature fireplace with living flame gas fire inset into Marble effect hearth and glazed door leading to Breakfast Kitchen. 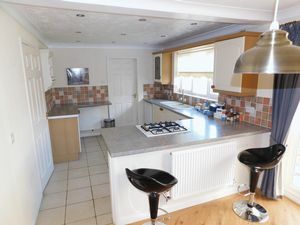 A delightful family Breakfast Kitchen with window to rear elevation, French doors leading onto Conservatory and being fitted with a range of fitted base and eye level units with draw, cupboard and shelf space, rolled edge worktop incorporating one and a half bowl sink and drainer, tiled splashbacks, integrated double oven with gas hob, space for larder fridge, breakfast bar, tiled flooring, recessed ceiling spotlights, ceiling cornice, door leading to Utility Room and space for Breakfast/Dining Table. With door leading to garden, walk in storage cupboard, tiled flooring, extractor fan, wall mounted central heating boiler and being fitted with base and eye level units matching the Kitchen, rolled edge worktop, tiled splashbacks and plumbing for washing machine and tumble dryer. 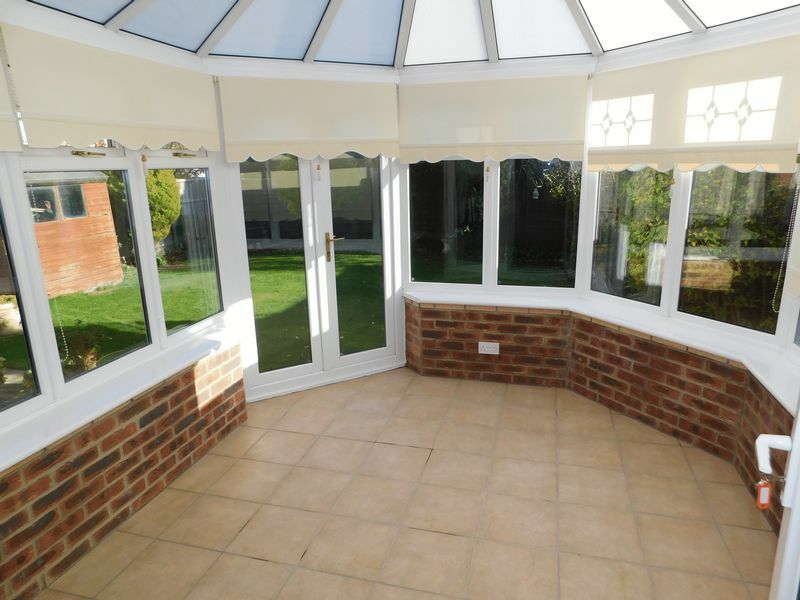 With windows to three aspects, French doors to garden, tiled flooring and bespoke fitted blinds. With window to side elevation, airing cupboard and loft access hatch. 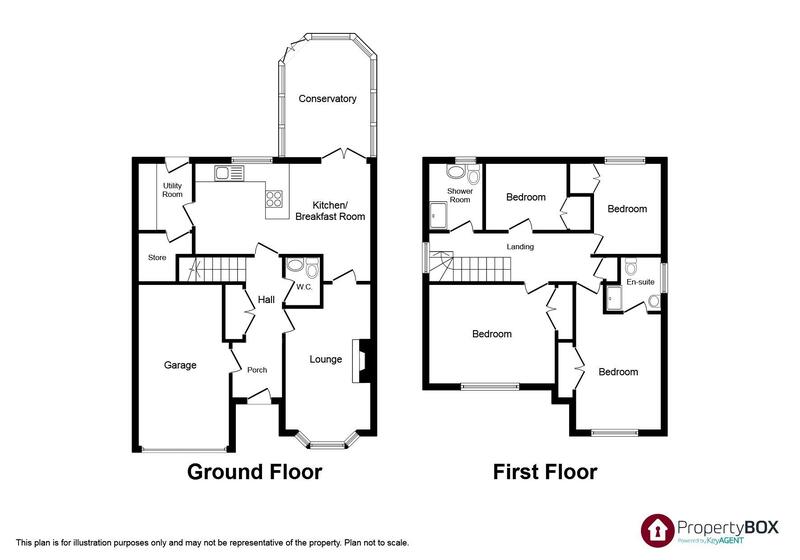 With window to front elevation, fitted wardrobes and access to en-suite shower room. 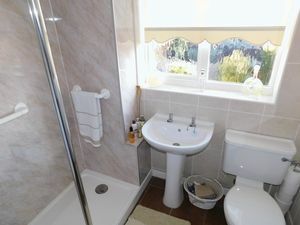 With obscure glazed window to side elevation, wall and floor tiling, recessed ceiling spot lights, extractor fan, walk in shower cubicle with mains shower, pedestal wash hand basin and low flush WC. 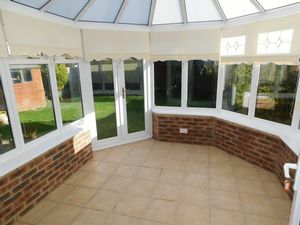 With window to rear elevation and built in wardrobes. 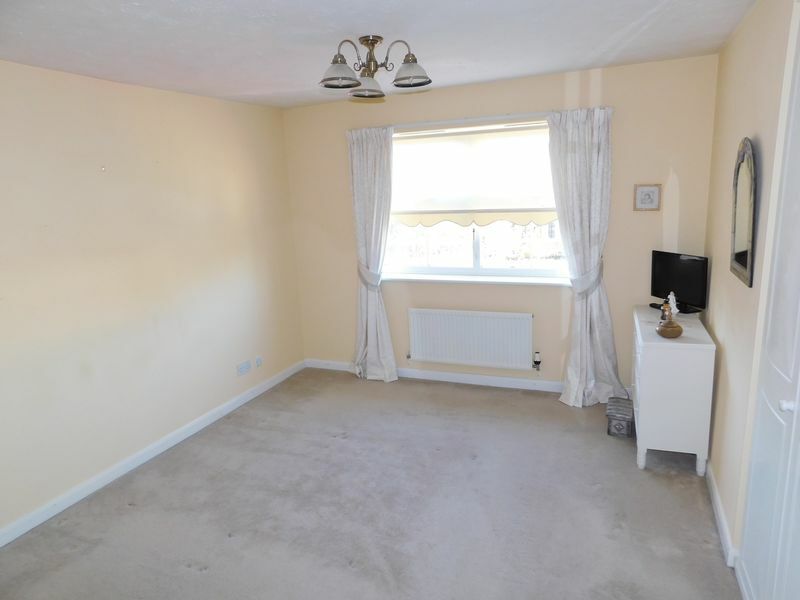 With window to rear and fitted wardrobes. With obscure glazed window to rear elevation, tiled flooring, part panelling to walls, recessed spotlights and fitted with double walk in shower cubicle having mains rainwater head shower, pedestal wash hand basin and low flush WC. With up and over door, power and light. 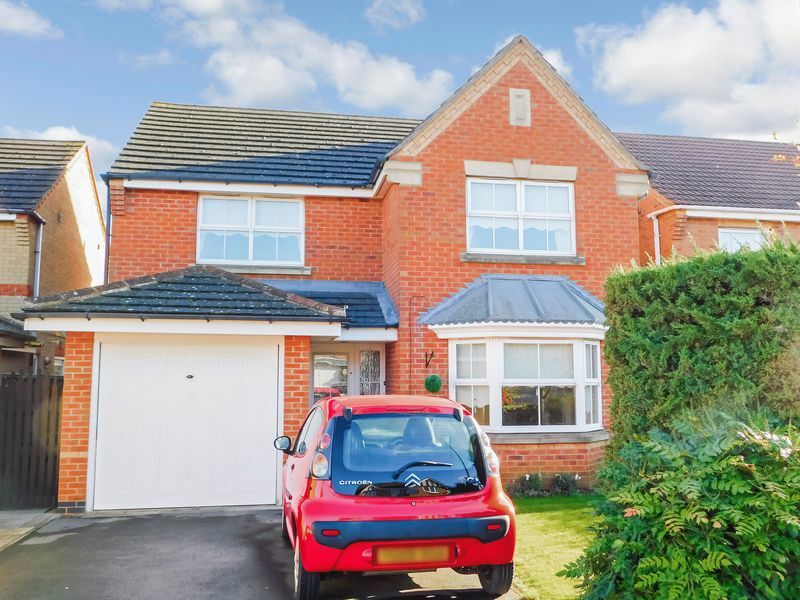 To the front of the property is a double width driveway providing car standing space with lawned garden adjacent. 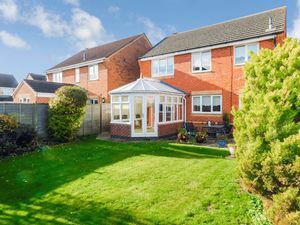 Gated side access leads to the rear where there is an enclosed garden comprising a shaped lawn, edged with well stocked borders, patio area and timber garden shed. 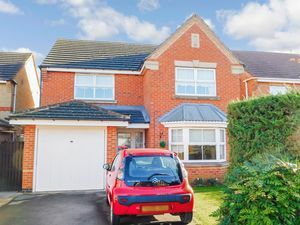 We are informed by the owner the property is in Band D.
We are always delighted to provide free market appraisals call 01476 576688 to find out how much your property is worth. 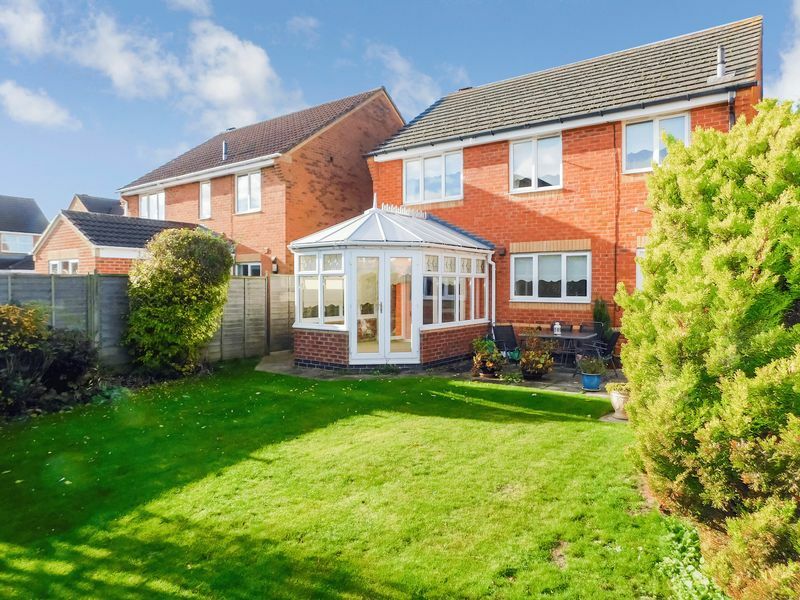 Strictly through the Agents by calling 01476 576688. 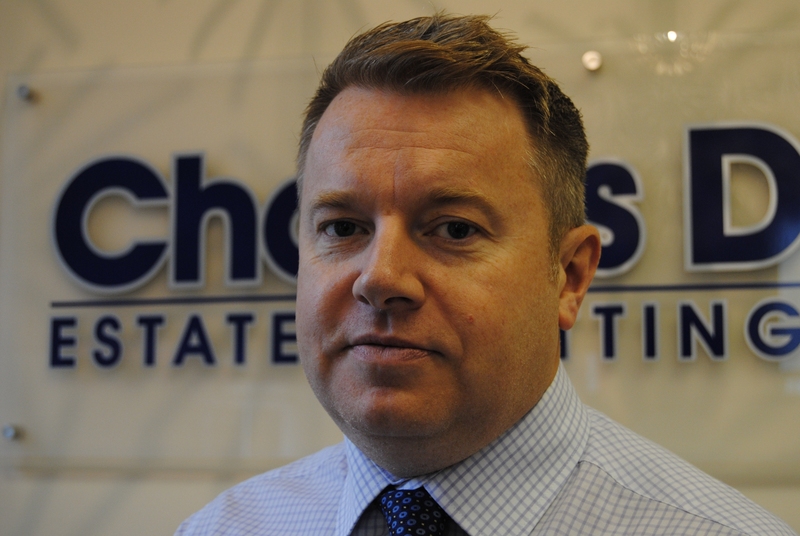 © Charles Dyson Estate Agents. All rights reserved.